Pary Moppins: Jazz Loves Disney...and So Do I! Jazz Loves Disney...and So Do I! "This is a sponsored post from Disney Music and One2One Network. All opinions, potential muffin basket bribery, and fanatical love of all things jazz and Disney are my own." Did you hear that squeal of delight? I get pitched periodically to review stuff--you, as my readers, know this. I always appreciate the opportunity but I'm not always overjoyed with the product. Y'all...when I opened my e-mail to see that there was a new review campaign that involved the latest reworking of Disney songs into jazz charts, I got excited - super excited...as in I may have squealed out loud. Then I set about finding out how I could apply for the campaign and thought about sending the person in charge a muffin basket just so they would include me. No joke. Are you aware that Disney has produced several albums that orchestrate their time-honored classics into various genres? I know this because we have several of them: "Bibbidi Bobiddi Bach" and "Heigh-Ho Mozart" are both written in the style of well known classical composers and "O Mickey Where art Thou?" is arranged in the style of blue-grass. 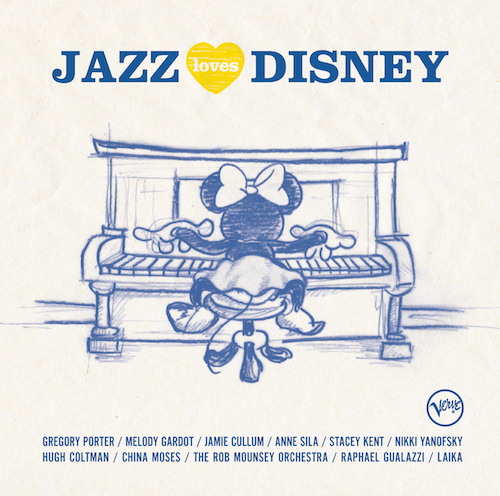 Jazz and Disney are two of our family's all-time favorite things so a new compilation arranging Disney songs in a jazzy way has sent us over the moon. Thus the squealage. Engineer is a phenomenal bass trombone player and has played in many jazz bands throughout the years. While in England, the musical director of the town band chose to feature Engineer in a Disney song that was written jazzy to begin with, "I Wanna Be Like You." It's kind of his signature tune now. Engineer and I honeymooned at DisneyWorld and have since been back several times with Diva. It is truly our happy place and we have encouraged every young couple to consider honeymooning there too. I can't imagine being treated better as newlyweds than DisneyWorld. Our first pet together was a cat named Tigger and he was the best cat we ever had. As a child, my favorite record (and yes, I mean vinyl) was "Mickey Mouse Disco." I wore out "Disco Duck." My singing partner and I used to go into schools teaching kids about styles of music (jazz being one of our favorite lessons). Our take away from that lesson was that one could "jazz" any tune. We often used Disney songs as examples kids could relate to when recognizing different styles of music. Diva is a Disneyphile to say the very least. She can quote nearly every word from nearly every Disney movie and as for the songs, fuhgeddabowdit. She knows every tune and lyric by heart. I was interviewed in college for my hometown newspaper and the reporter asked me what I wanted to be when I graduated. I told them I wanted to be a Disney voice when I grew up. If that same reporter asked me now, I would say a jazz singer. Seriously. On any given day, someone in this house is quoting a Disney movie, most likely Emperor's New Groove or The Incredibles, although "Just keep swimming..." from Finding Nemo is basically a line said daily. Our media library is almost exclusively Disney movies. Jazz concerts are Engineer's favorite. He loves the atmosphere, the talent, the way the musicians showcase each other in solo spots then come back together in a cohesive band/combo; I love jazz, but Engineer breathes it. And if you're still not convinced how entrenched we are in Disney-ness, just look at the name of this blog - Pary Moppins. You can see that all aspects of our lives are musical and Disney-fied: before we were married, just after we were married, throughout our marriage, passed on to our child, in our work life, in our extra curricular activities, and the day-to-day nature of our very existence. The presence of Disney and music are all-encompassing here. Okay, so I can understand how one may think that reworking children's songs could be super cheesy but there is no cheesiness here. The artists performing these tunes are legitimate jazz musicians and the album is even recorded with Verve (the Team Moppins preferred jazz label.) The tunes are so cool, you could easily have them playing in the background at your next cocktail party and no one would bat an eyelid that the tracks were from cartoons. I have now listened to this album basically on a loop since I downloaded it and have fallen madly in love with some of the tracks. Here's the thing: many of Disney's mid-century movies' soundtracks were already jazzy. Think about the swinging tunes from Lady and the Tramp, The Jungle Book," or The Aristocats--they seem like no brainers to add to a Disney jazz album. The difficulty for the artist at that point lies in allowing the listener to challenge the sound they are familiar with in order to accept an updated version. "Everybody Wants to Be a Cat" is the first song on the album. 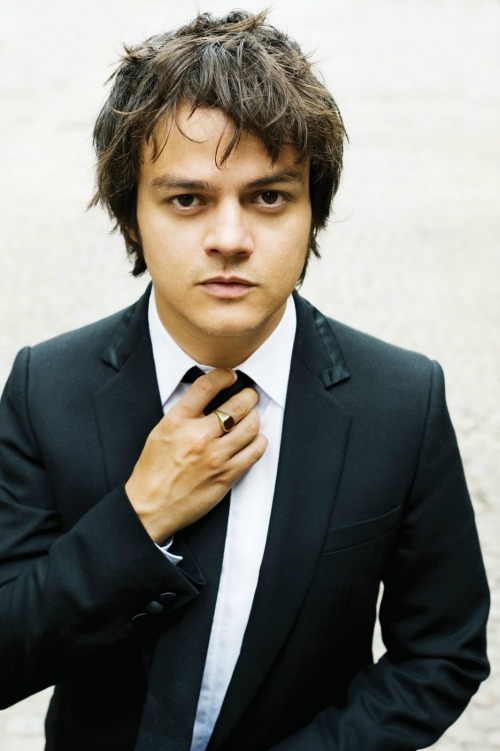 It is performed by Jamie Cullum who has been a favorite of the Moppins household since we lived in England and, yes, we even have a couple of his albums. We enjoy his crisp take on jazz standards and pop songs. His sensitive treatment of The Aristocats tune kept the fun vibe of the original and married it with his fresh style. His orchestration is on point and as I listened, I closed my eyes and could see the alley cats singing and playing. The introduction sets the scene perfectly of a cat slinking by smoothly, then it changes suddenly to frenzied caterwauling. Granted Jamie had good bones to work with; that was a great choice by Verve to put his track first, to get the audience hooked and excited about what was to come. As soon as I told Diva about this album, she immediately replied, "They better have 'He's a Tramp' as part of the line up. That is one of my all-time favorite Disney songs." I told her it was number 2 on the playlist, and that it was also one of my favorites. Where as Mr. Cullum just had an iconic tune to work with, Melody Gardot not only had an iconic tune, she also had the added obstacle of iconic singer Peggy Lee. I've got to admit, there was a moment as the track started that I thought there was no way that someone could do that song, or Ms. Lee's voice, justice. Then I heard Melody say, "What a dog" and I knew it was going to be scrumptious. Her sultry voice fully embodies the tone of the piece and the character who sings it in Lady and the Tramp. The chanteuse has such an ease to her voice and between the buttery saxophone, walking bass, and the support from the yummy chords the piano was laying down, this was easily my favorite track on the album. Some other notable tracks were the Stacy Kent's Bossa Nova version of "Bibbidi Bobbidi Boo" sung in French. It thoroughly upped the cool factor on that tune. Cinderella's saccharin "A Dream is a Wish Your Heart Makes" gets a grown-up instrumental make-over by way of a solo muted trumpet and The Rob Mounsey Orchestra; I could easily see this version as the soundtrack to a couple's first dance. "The Bare Necessities" is light and bouncy yet has great flow. I would be remiss if I didn't also mention the absolute delightful and delicious French version of "I Wanna Be Like You" from The Jungle Book played by The Hot Sardines. It's frothy and feels like the French Quarter on a sunny day. What a super track to end the album with. You can download the album starting November 18, 2016 from either iTunes or Amazon. I am keeping my fingers crossed that Disney will decide to produce a second jazz album, perhaps even all instrumental. They have so many other jazz inspired tracks from Monster, Inc. and The Princess and the Frog that I would love to hear with fresh ears. I think "Prince Ali" from Aladdin would be a great choice as would "I've Got No Strings" from Pinocchio or "I Just Can't Wait to Be King" from The Lion King. I highly recommend this album for kids, for parents, for grandparents, for everyone!